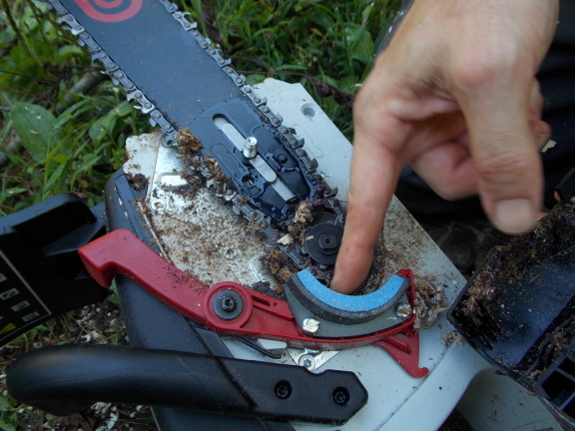 The Oregon battery powered chainsaw has a nice self sharpening feature. You pull up on the red lever while it's running and a stone sharpens the chain. It seems to work well as long as you clear the area of stray wood chips.